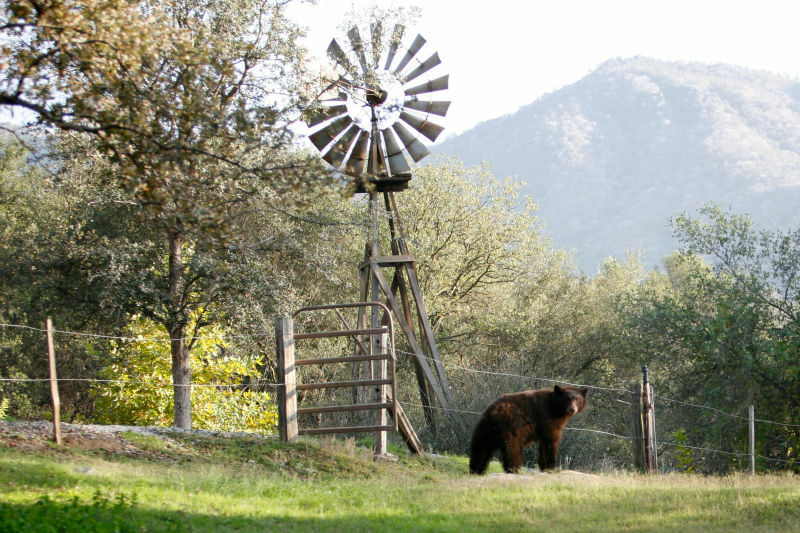 The town of Three Rivers has been blessed by a boom of bears and bear cubs, reports the Los Angeles Times. Bears! 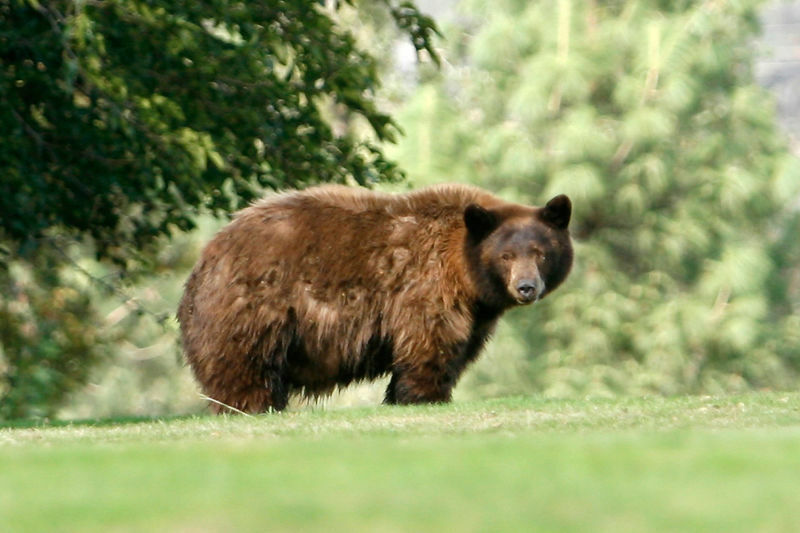 Here’s the story: circumstances—ranging from an unexpected boom in births in 2014, to California’s prolonged drought pushing bears to “venture closer to where people are” in order to track down the good food (sugar pine cones, natch)—have conspired to increase the population of bears in Three Rivers. Bears and bear cubs everywhere. 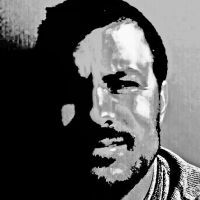 “They climb the oak trees. They sleep in the oak trees. They poop from the oak trees,” said Karen Perl, who works at Reimer’s Candies & Gifts. OK, so maybe this co-mingling of populations will require some adjustments. 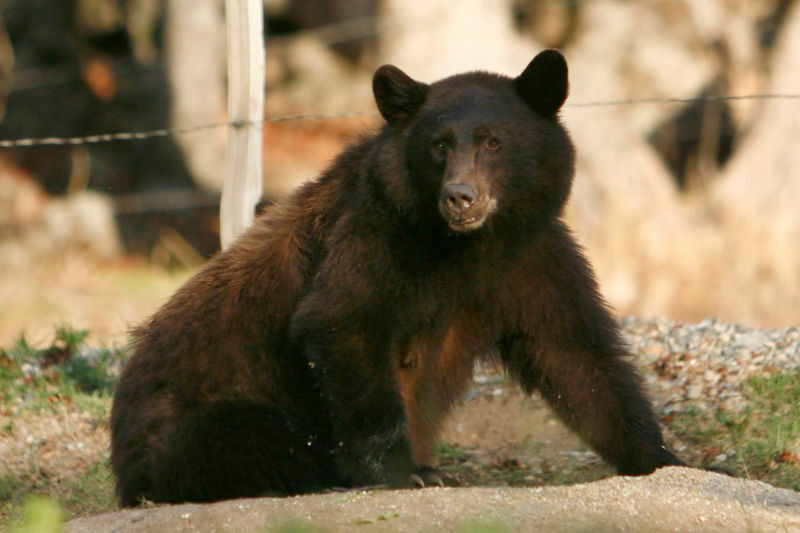 In the last couple of months it has not been uncommon to see six, or occasionally 10, black bears roaming the center of town at all hours of the day, Perl said. The bears, mostly fitted with tags dangling from their ears, don’t seem to pay too much attention to the locals. Ah, so gangs of young bears sporting earrings are roaming hungrily around the town’s center. Who needs teenagers? Bears can be seen lounging freely outside storefronts and snacking on acorns throughout town. Most residents and businesses have bear-proofed their garbage cans, but it doesn’t stop the bears from trying to find food, Perl said. Sadly, the bears cannot stay, even as settled as these bears apparently are into the bucolic rhythm of village living. 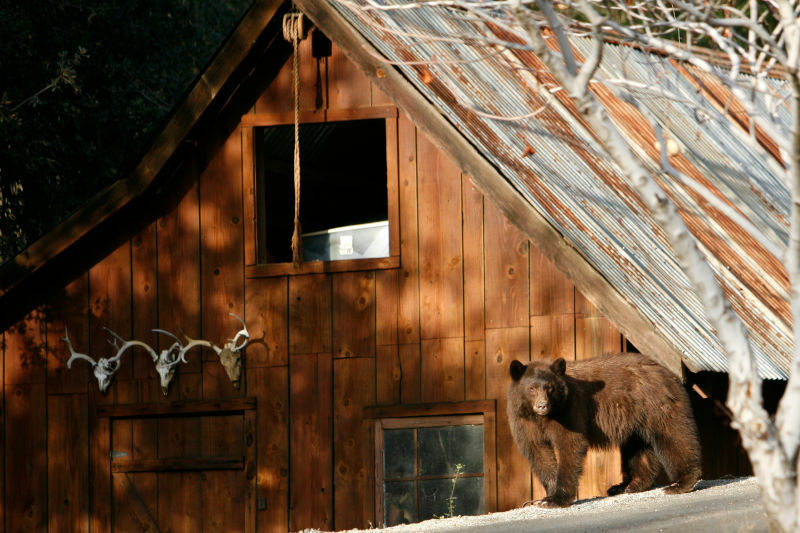 Where there are bears and humans in close proximity, there will be conflict, notes Daniel Gammons, a wildlife biologist for Sequoia and Kings Canyon National Parks. And the humans will get the better of the bears, and that will be sad. Back to the hills, bears!